Recently we received Bunch O' Balloons, Paw Patrol Pez Dispensers and a Nickelodeon Activity Set from Cracker Barrel, The Old Country Store . There were many things I loved at the Cracker Barrel site. I plan to go back, maybe a few times. They offer toys, clothing and accessories, gift cards, movies, books, and so much more. My grandson is a huge fan of Paw Patrol. 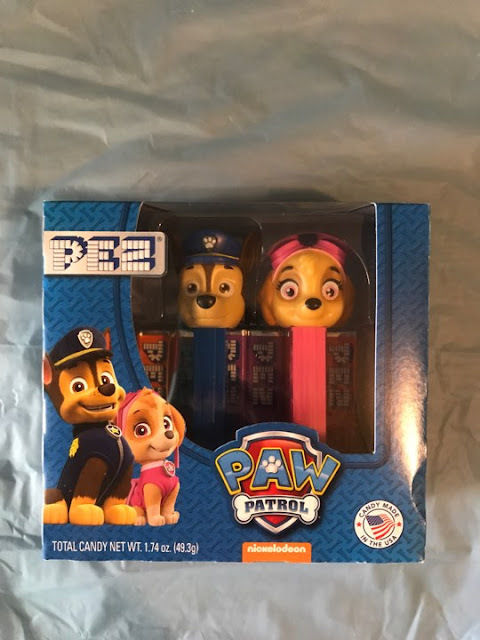 We received Paw Patrol Pez Dispensers. Pez dispensers have been around since I was little and kids still love them. They came with two packs of candy for the dispensers. They are nicely made and safe for kids. I have some Pez Dispensers that I have kept as collectibles. We also received a Nickelodeon Activity Set. 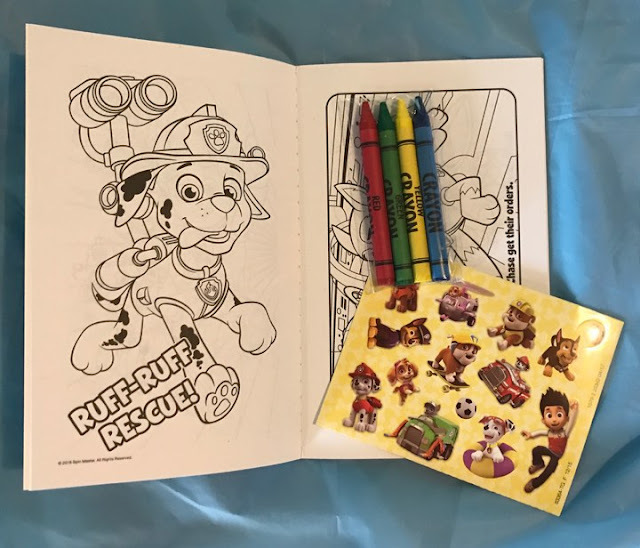 This includes the activity book, crayons and stickers. I like bringing activity sets such as this when we go for appointments where me might have to wait a while. It helps keep the kids occupied. We also received the Bunch O' Balloons. These were great fun to play with. Bunch O' Balloons comes in three bunches of 33, in one package you will get 100 balloons. Each bundle of 33 can be filled at one time. These balloons also seal themselves. Each bundle is a different color. The colors will vary from red, orange, yellow, green, pink, white and blue. 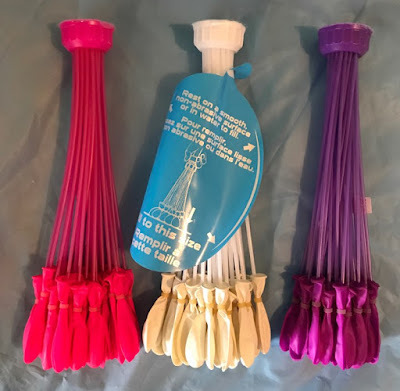 Each Bunch O'Balloons has a cap piece at the top of the bunch that will screw on to any standard size garden hose. If you do not have a garden hose the package comes with an adapter to fit a sink faucet. 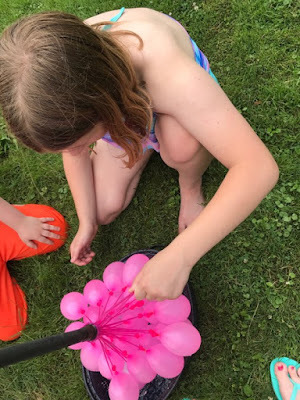 Each balloon in the bundle is on it's own straw, which is where the water will travel into the balloon. When there is an appropriate amount of water in the balloon it will come free from the straw and seal itself. 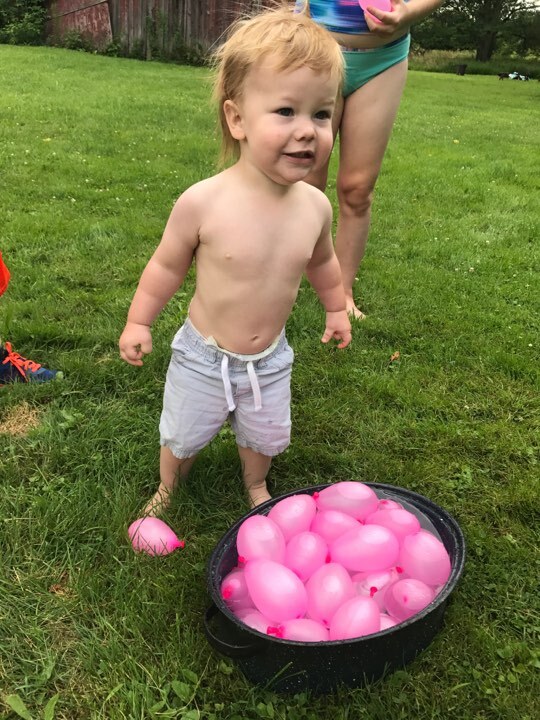 Mason was brought outside just as he woke up from his nap and wow was he excited! One at a time he picked them up thinking he was going to get quite a few although, the most he acquired at any given time was TWO. He gave it his best though, about 10 tries. Over all our experience with the products from the Cracker Barrel was enjoyable and fun. Their products are cute and the kids loved them. We have plans to check out more items from this store soon. You can connect with Cracker Barrel Old Time Store via Facebook , @CeackerBarrel , Pinterest , You Tube , Instagram and Cracker Barrel Store Website . I love Cracker Barrel! It's one of my favorite places to eat and shop at!! Very family friendly. I haven't eaten there but it is on my traveling list. Oh I used to love Pez dispensers and the candy within!! 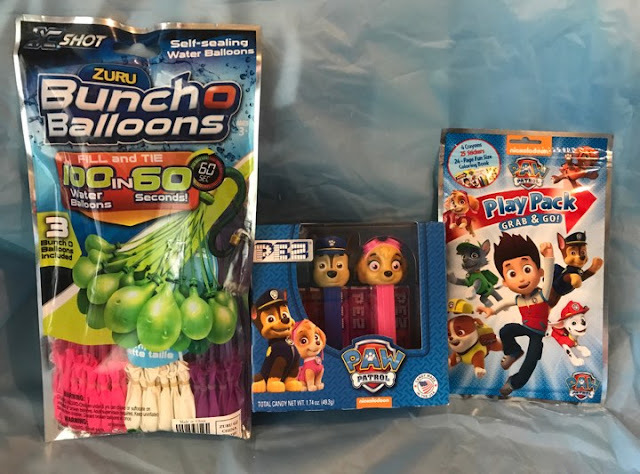 Those balloons look like a lot of fun and of course what kid doesn't like activity books! Next time I need a gift for a child I will definitely keep this place in mind! They also have adult gifts, movies, books, clothes, accessories and gift cards.